We are delighted to announce that Lars Bjørnshauge, one of our founding Directors, has been elected to the OASPA Board. It is fitting recognition for the important work that Lars has done for the open access community, not only through the DOAJ, but through his involvement with other academic and library organisations as well. Yesterday, at the OASPA 2013 conference in Riga, Lars presented an overview and an update of DOAJ and its progress to date. His talk also gave details on the work that DOAJ has committed to undertake for the rest of 2103. Lars was Director of Libraries at Lund University from 2001 to 2011 and founded the DOAJ in 2003. He became Managing Editor of DOAJ in January 2013. He has vast experience in: change management; the re-engineering of academic libraries; the development of information services for research & higher education. He has been a strong advocat of open access and for providing services to the open access movement (open access to research publications). He is co-founder of OpenDOAR and the Directory of Open Access Books. Since 2011, he is the Director of SPARC Europe. Rikard has a Bachelor of Arts degree with a Major in Cultural Sciences and a specialization in publishing. Sonja Brage is a former Information Librarian from Lund University Library. She has a B.A. in English, Bulgarian and Russian from Lund University. She is now reviewing journals, primarily in the Slavonic languages and in Italian. Lotte has during the last 19 years worked as librarian, information consultant, project coordinator and consortia administrator. The positions has been held at The Technical University of Denmark, Swets, Lund University Libraries and The Danish Agency for Culture. Lotte was the DOAJ project coordinator 2004-2008.The common denominator through all positions has been academic journals and scientific publishing. Dom has worked extensively with the publisher and librarian communities both as a publisher, with the BMJ Publishing Group (UK), and at HighWire Press – Stanford University (USA) where he was an account and project manager. Dom is responsible for collaboration with DOAJ’s publishers. Salam, Director of SemperTool, was in charge of the development and maintenance of DOAJ from 2004-2011. Salam has a vast knowledge of academic libraries and a long experience in creating and integrating digital library products and systems. SemperTool offers a range of reliable and cost-effective software solutions for digital libraries, and serves more than 100 universities in Europe, Africa and the Middle East. SemperTool is also developing and maintaining the Directory of Open Access Books. As communicated in a previous post, Lund University has facilitated a handover of the responsibility for operating and developing DOAJ to Infrastructure Services for Open Access C.I.C. (IS4OA). IS4OA is founded by Dr. Alma Swan (convener of EOS , co-founder and co-owner of Key Perspectives Ltd and Director SPARC Europe ) and Dr. Caroline Sutton (co-founder of Co-Action Publishing and president of OASPA ). Below we will briefly outline the current plans for improvement and development of the DOAJ. First, we want to engage the community in the governance, development and operations of the DOAJ. Our company, IS4OA, is set up as a not-for-profit charitable company limited by guarantee under UK law. Governance of the DOAJ will be through an Advisory Board comprised of key individuals from the open access community. The Advisory Board will provide advice and feedback on the development of the DOAJ. We will as well invite the broader community to contribute input on priorities and directions. Our intention is to develop the DOAJ into a significantly improved service by introducing more functionality and extending the coverage of journals around the world. Included in this will be the task of working more closely with publishers to improve the quality of the information we can deliver about the journals listed. The new organisation has engaged Lars Bjørnshauge to manage DOAJ. Lars founded the DOAJ during his service as Director of Libraries at Lund University. Agreements regarding hosting, technical operation and development as well as staff recruitment are in progress. We intend to change the way the editorial process operates. So far, editorial work (reviewing and approving journals) has been centralised; that is, all editorial tasks have been performed by staff located and employed at Lund University. In recent years, a de-centralised model for DOAJ has also been introduced involving agreements with regional/national collaborators (consortia, etc.) where one or more staff carry out the initial reviewing of journals from that country or in that language. This arrangement is already in operation for journals published in France, Turkey and Greece. This model will be extended to further countries and regions. By means of the concept of the “DOAJ associate librarian” the editorial work (inclusion and filtering) and translation of the DOAJ-website into additional languages will essentially be based on a community model (crowd sourced). In this way, the workload at the central hub will decrease and will develop more in the direction of management of the community. In communication with the community we will develop improved criteria for inclusion in the DOAJ, for instance by aligning criteria with OASPA’s code of conduct and the Open Access Spectrum. We will indeed address the issue of publishers not living up to reasonable standards both in terms of content and of business behavior. We have followed debates closely and will carry out further community and user consultations to determine what enhancements and improvements should be made to the DOAJ so that it better serves the needs of the whole community (funders, sponsors, supporters, publishers, authors and other users). Already the information we have gathered has been used to outline an improvement plan. We will engage more systematically with the community as we move forward in order to solicit input to future improvements. A new platform, the transition to which starts in January 2013. We hope you will welcome this new development and will continue to support DOAJ in 2013 and beyond. We look forward to working with you all in delivering a service committed to continual improvement over the years to come. Infrastructure Services For Open Access C.I.C. 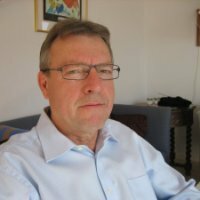 (IS4OA) is pleased to announce the appointment of Lars Bjørnshauge as Managing Director of the Directory of Open Access Journals (DOAJ). During his earlier work as Director of Libraries at Lund University, from 2001 to 2011, Lars led the initial development of the DOAJ and internationally he became known as the face of the directory. As Managing Director Lars is tasked with implementing and further developing the DOAJ in line with a new business plan that has been devised. Agreements regarding hosting and staffing are underway. The DOAJ will be governed through an Advisory Board, the members of which are currently being recruited from a broad spectrum of the Open Access community. Announcements regarding the Advisory Board will be made in the next few weeks along with further plans for development of the DOAJ as well as plans for developing new certification criteria for journal inclusion in the DOAJ. IS4OA and the new DOAJ organization look forward to working with its supporters and the community to further develop the DOAJ such that it can continue to play a key role within the emerging infrastructure to support open access.